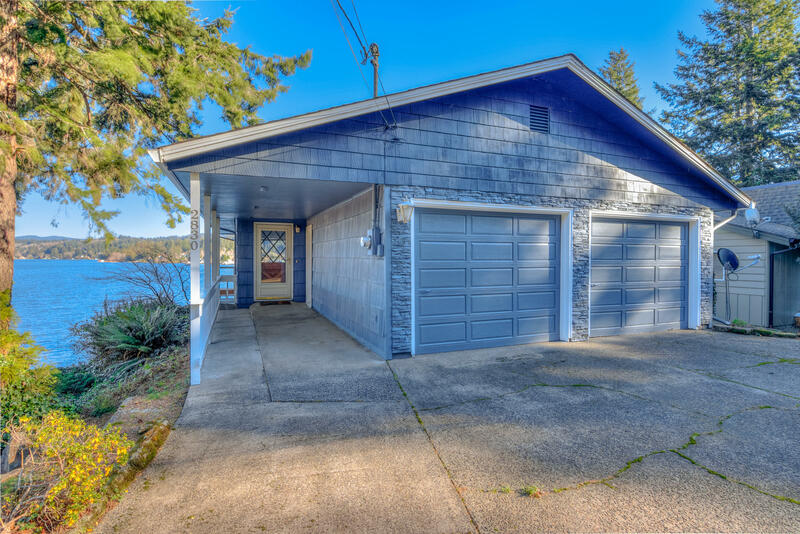 Enjoy lake front living in this well maintained 3 bed/2.5 bath lake front home. Panoramic expansive lake views overlooking the large central bay of beautiful Devils Lake. Boat house with ramp and wench, includes 1995 Four Winds 19 ft inboard bow rider. Open plan with fireplace in living room and a wall of windows to enjoy the views! Dining room is located in a sunroom off the kitchen with access to lake front deck. Granite kitchen counters, and hardwood bamboo floors in kitchen and dining area. New decks. Master bedroom features upgraded private bath and fireplace. Conveniently located utility area on bedroom level.